NATIONWIDE – A new report drawing from a nationwide survey of 800 passenger service agents at Envoy Air (American Eagle), data from company injury logs and OSHA inspections reveals dangerous conditions affecting agents at the American Airlines subsidiary that should raise red flags for the flying public. Envoy Air agents reported serious safety hazards on the job due to unreasonable time pressures, high turnover and chronic understaffing, low wages and long hours, and a management culture that forces workers to cut corners to maintain an on-time schedule and avoid discipline and puts them at risk of injury. The survey was conducted by the workers' union, the Communications Workers of America (CWA). It is the first to examine safety hazards at Envoy Air and indicates the company is stretching its frontline staff, whose wages start as low as $9.48 per hour and reach only $15.71 after 11 years of service, past their ability to ensure a safe, efficient boarding and departure process for passengers. Department of Transportation figures show that American's on-time departures took a sharp dip this summer and the airline continued to struggle in the fall. Envoy Air passenger service agents work at some of the nation's biggest and busiest airports as well as smaller regional airports that connect flyers to travel destinations around the country. With average pay of just $11.50 per hour, they provide services essential to ensuring a safe and enjoyable experience for flyers, such as managing pre-flight checks, de-escalating tense situations and helping passengers re-book their flights during inclement weather. They also work on the runway ramp loading and unloading baggage, guiding planes on the tarmac, deicing planes, supplying potable water, removing lavatory waste, and ensuring aircraft are inspected and safe before takeoff. The survey underscores evidence of serious safety concerns on the runway and at the gate. It was conducted online between December 3 and December 14, 2018, with 800 Envoy agents participating and more than 88 Envoy airport locations represented. Survey respondents work in a mix of roles, including 39% who work inside the airport, 23% who work outside on the ramp and 38% who work both inside and outside at smaller stations. Consistently low wages at Envoy are at the root of high turnover and high stress on the job, even as gate and ramp agents contend with dangerous time pressures from management. 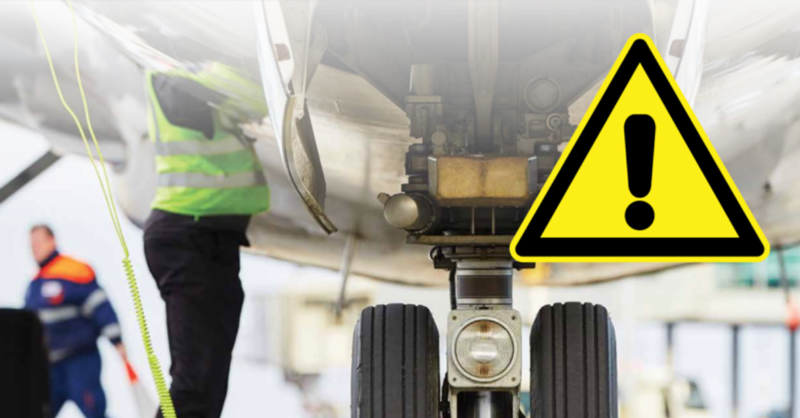 Nearly half (47%) of agents who work on the runway ramp report they are unable to complete every required damage inspection of aircrafts, many citing time pressure and understaffing. Company-maintained OSHA workplace injury and illness logs show 1,459 recordable injuries/illnesses across all Envoy airport employees over a 21-month period from Jan 2017-Sept 2018. Of those injuries, 829 were strains and sprains, a category of injuries often caused by ergonomic hazards and made worse by a high-pressure environment like that at Envoy. The reported cause of at least 596 injuries was an ergonomic issue: lifting, pushing or pulling, twisting or bending. From Jan 2008-Sept 2018, OSHA inspected Envoy work sites on 26 occasions, and 10 of those inspections resulted in citations that included violations of OSHA standards. In November, an Envoy employee in Miami was found unconscious in the employee break room after suffering a fatal heart attack. In a review of studies, the National Institute for Occupational Safety and Health (NIOSH) found that excessive overtime can increase the risk of heart attacks, with one study showing the risk was increased for those working more than 11 hours per day or more than 60 hours per week in the month before the attack. The week before his death, the employee had clocked in 66 hours over just six days. To conclude the report, the union provides a list of recommendations for Envoy Air to address these safety concerns including ensuring adequate staffing so agents can get the job done safely and on time; allowing workers to report unsafe conditions with no fear of retaliation; ensuring timely repair of defective equipment and availability of protective gear; providing adequate training to all agents; and paying a living wage that would enable agents to work reasonable hours and help lower employee turnover. American Airlines – through its lobbying arm – supported the "Tax Cuts and Jobs Act" and said it would "spur a new era of job growth and economic development." The company anticipates tax refunds of $170 million in 2019 and 2020 as a result of the repeal of the Corporate Alternative Minimum Tax. Instead of investing its $170 million tax windfall in American workers, the company has announced $2 billion in stock buybacks. The latest stock buybacks come on the heels of $11.5 billion in buybacks over the past four years. American Airlines posted $1.9 billion in profits for 2017, reported healthy profits in the first three quarters of 2018 and anticipates $1 billion in new revenue in 2019. Envoy Air operates nearly 1,000 daily flights under the "American Eagle" banner and serves 150 destinations. Long hours, low wages and challenging working conditions including defective equipment are fueling significant turnover among Envoy agents, leading to understaffing and intense stress. The work done by agents at Envoy and American's other regional carriers is also an increasingly vital component of the company's overall business health, with regional subsidiaries and affiliates operating 53 percent of American's domestic departures in 2018. Starting pay at Envoy is $9.48 an hour, and more than half of the agents are paid less than $11 an hour. A 2018 report shows that many rely on public assistance to get by, are forced to go to extreme measures to cover basic living expenses, including selling plasma, buying out-of-date food and borrowing against retirement accounts, and rely on family and friends to get by. The workers have been trying to negotiate a contract with fair, family-sustaining wages and improved safety standards including adequate staffing and training and timely repair of equipment for more than two years.